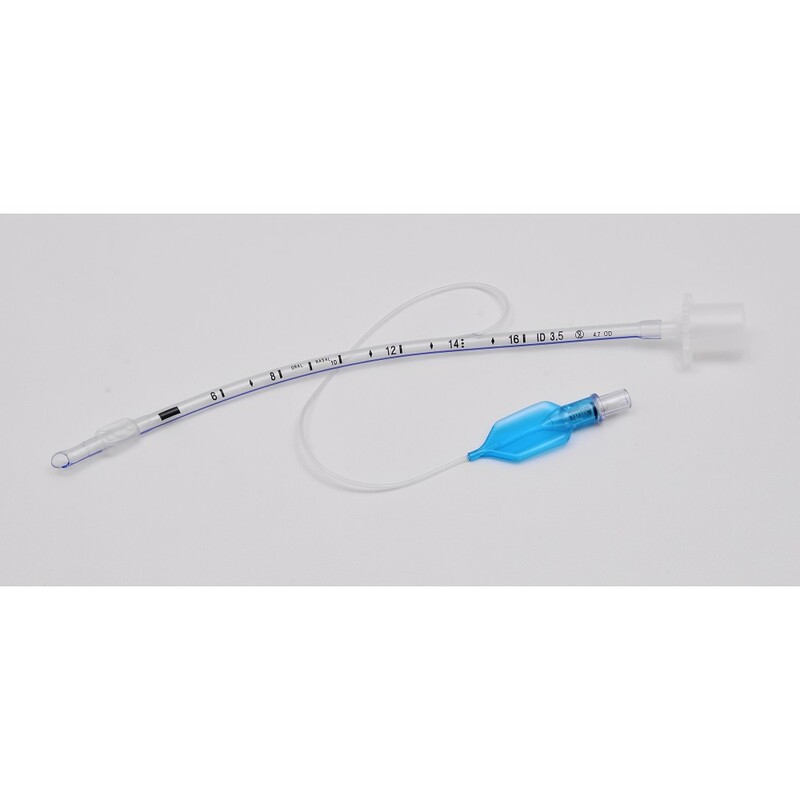 Endotracheal tube an airway catheter inserted in the trachea during endotracheal intubation to assure patency of the upper airway by allowing for removal of secretions and maintenance of an adequate air passage. Endotracheal intubation may be accomplished through the mouth using an orotracheal tube, or through the nose using a nasotracheal tube. Numerous different endotracheal tubes are available. Tubes for adults are almost always “cuffed” to prevent air and aspiration leakage and allow for their use with a mechanical ventilator. (Pediatric tubes are not cuffed, since the airway is narrower at the distal end.) The cuff is a balloon like device that fits over the lower end of the tube and is attached to a narrow tube that extends outside the body and allows for inflation of the cuff. Once the cuff is inflated there is no flow of air through the trachea other than that going through the endotracheal tube. Care should be taken not to overinflate the cuff.